Interviewing Woes? Great Tips to Find Great Candidates! Today’s Internet savvy employers know that simply posting a job opening online is no more effective at successfully filling a position than a shot in the dark at best. It’s a common scene: the busy Hiring Manager hurriedly posts a job opening to a Web site and the resumes start rolling in. Soon, the Hiring Manager is wasting precious time and resources wading through a pile of resumes without a qualified applicant in sight. While a resume provides a great deal of information, it may not provide enough of the right kind of information – personality, values, and communication skills. As with any successful endeavor, effective recruiting requires strategic planning. With a little targeted focus at the all too critical beginning, a lot can be done to optimize your search before a candidate ever steps foot in your door for an interview. Find what you need, quick and easy! The best way to make sure that you know exactly what you are seeking in a candidate is first to gather together all interested parties up front. Pull together the Hiring Manager and the person who will be the new hire’s supervisor – and even somebody who will be working directly with the person or who performs a similar job. Take with you into the meeting a sample job description for the type of position you are trying to fill. This can be what was used for the person who formerly held the open position within the company. If one is not available or it is a new position, any number of samples are available on the Internet (e.g. www.Salary.com). This job description can function as an excellent starting point to get the discussion going on what your particular company’s needs are. Collect comments on the necessary skills, culture, and background that the position requires. If people have different opinions on what it is that the company actually needs in this person, now is the time to get everyone on the same page! Take the feedback given to you from the meeting you have just conducted and make a detailed list of the skills required for the perfect candidate. Separate your list into “Necessary skills/background” and “Helpful skills/background.” This will not only help you write the job posting, but it will also give you something tangible against which you can quickly cross reference candidates’ resumes. The goal is to hit the ground running as soon as you begin getting candidate information. Remember, the more organized you are set up to be at the onset, the easier your search for the perfect candidate is going to be. 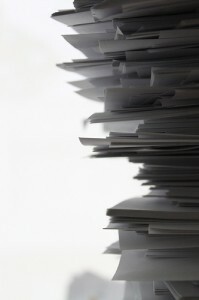 In a stack of 100 resumes, you are going to find 100 different formats – each with critical information tucked neatly into a different hiding place based solely on the whim of the applicant. This has led to many companies requiring a detailed online application to not only organize an applicant’s background, but to also acquire additional information. While this may help in the way of structure, it can serve to prematurely eliminate qualified candidates who are reluctant to fill out a lengthy job application where submittal constitutes acceptance of all sorts of conditions inserted by the employer. It also does not allow for the candidate you find as a result of searching an online resume database. One approach used increasingly by recruiters is to troll the Internet for candidate-related information appearing on social networking Web sites, such as MySpace and Facebook. If you are comfortable wading through personal nuggets such as where the candidate went on vacation last month and how many friends they have, there’s a chance that you may be rewarded with relevant information that helps fill in the picture of who the candidate is. This process is not only lengthy, but it may only serve to prejudice you against a candidate for irrelevant reasons. It is by careful design that CareerCo has tailored the candidate profile page to allow candidates to voluntarily provide more information along with the resume submission, such as a photo and a Personal Statement about interests and the ideal position. Here, candidates can post an Online Interview where they can detail major skills, experience level with each skill, and a brief description of how each skill was used to accomplish a work objective – all presented in a consistently structured and accessible format to help you streamline your search. With a clear list of qualifiers in hand, Hiring Managers can take advantage of the well structured candidate profile both to efficiently check out candidates as they apply or to actively search the database of candidates by keyword or job title. It’s almost as if the first interview has already been done for you. So, get organized and fill that position with the right candidate fast! Erika Rae Archer is a Talent Sourcer and Resume Writer with a solid background in Human Resources and professional development. She is the founding editor of 2CupsofCopy.com, which provides resume services, as well as professional writing and social media services, to businesses and individuals. She has started several companies, including a social lending company and an ISP. She is also nonfiction editor at TheNervousBreakdown.com and cofounder of Scree Magazine. She earned her MA from The University of Hong Kong in Literature and Linguistics. Previous post: Avoiding The Black Hole!